Now that Thanksgiving is this week, I can feel the excitement of the holiday hustle and bustle brewing. We are all decorated inside and have some finishing touches for outside. The weather is getting colder by the day and I almost forgot just how cold New England winters are. I even heard the word snow in the forecast this week. YIKES! So not ready for snow! All I want to do is wrap some early gifts I bought, make Christmas card lists and enjoy some takeout. However, since it was too cold to pick up our weekly Chinese food, we enjoyed a day in with Tai Pei, some good drinks, and snacks. If you are not familiar with this brand, they offer frozen Asian food that is available in your grocer’s freezer. 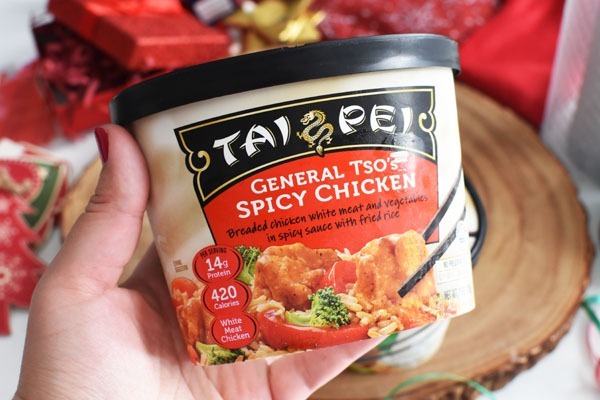 With everything from Beef & Broccoli to General Tso’s Spicy Chicken, they have everything you might need to enjoy Asian food right in the comfort of your own home. We are trying to eat better lately so portion control, and foods with fewer additives are on our radar. 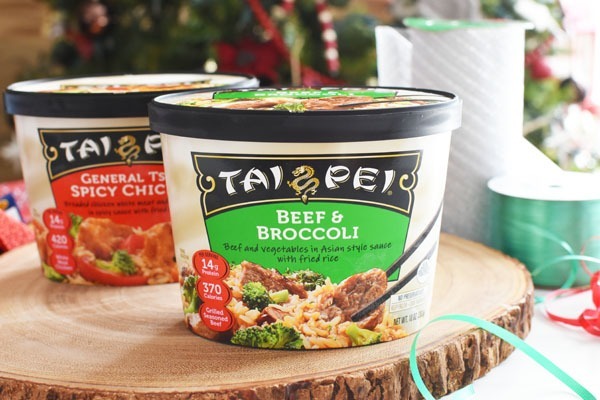 Tai Pei meals feature no additives, preservatives, artificial flavors or colors. Each meal comes in a portable container that can be microwaved and ready in minutes. 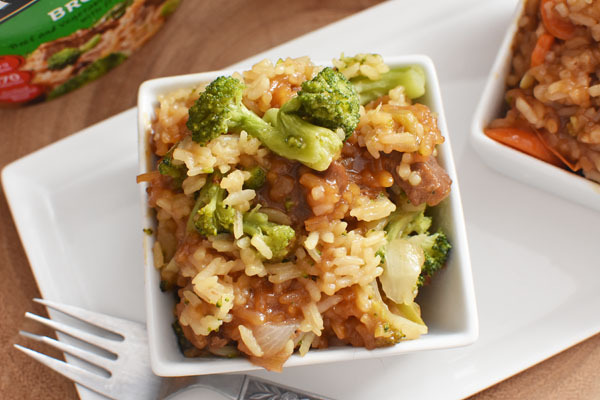 Inside each cup is crisp vegetables, soft rice, and flavorful proteins. My favorite meals they offer are the chicken varieties that my kids also enjoy. My husband enjoys the Beef & Broccoli the most. It felt so good to enjoy a lazy day at home this past Sunday and soak up all the holiday feels. Our tree is just so pretty and makes our home feel so cozy! You can view it on our instagram if you want some inspiration. 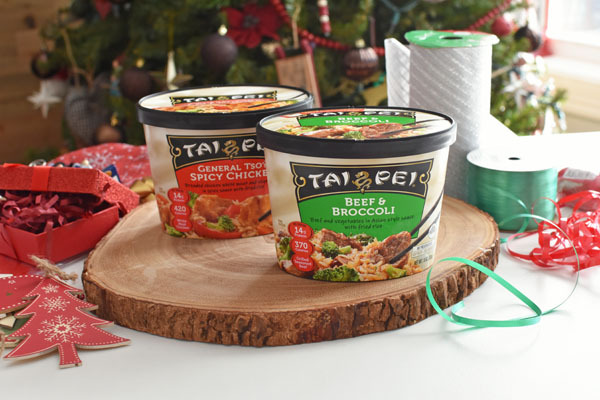 If you love Asian-inspired meals and want to enjoy the coziness of your home during the holiday hustle and bustle, pick up some Tai Pei Frozen Fried Rice meals at your local grocer. 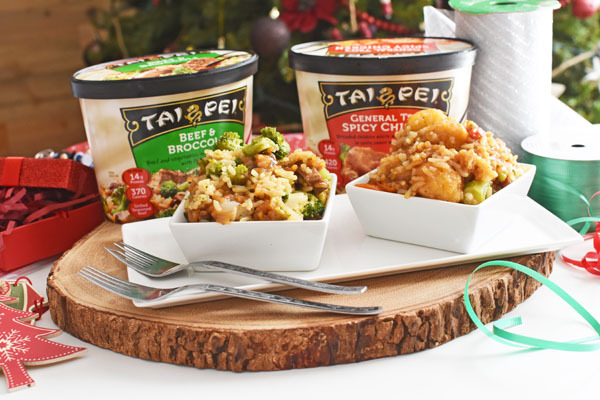 Use the store locator to find where Tai Pei single serve frozen fried rice is available near you (in the frozen food section). 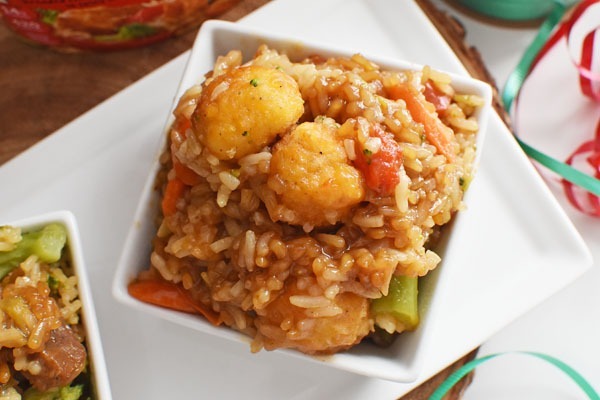 You can also save $1 on Tai Pei Asian Food with the coupon offer. Find Tai Pei on Facebook, Instagram, and Twitter. How do you unwind during the hustle and bustle of the holiday season? The holidays are a merry time, but the preparations leading up to them . . . well, maybe not so much. That’s because when we dedicate so much time and effort to get everything we need and meet everyone else’s needs, it becomes a blur of chaos. Don’t lose sight of yourself during the holidays. Keeping to your regular routine, such as working out, reading, doing chores, and tackling personal projects, amid the chaos of the season will reduce your stress greatly. You deserve it!